Shipping / Returns Rentals - Knee Walker Canada - Get off Crutches Today! Same day delivery available. The price you see is the price you pay. There are no additional costs for taxes or delivery for rentals over 4 weeks. You are only responsible for returning the unit back to us- either by taking advantage of our significant shipping discount through UPS, using a courier of your choice, or returning it to us in person. Get off crutches fast! Most Ontario orders are delivered within 1-2 business days, and to either the West or East coast within 3-5 business days. If you need same-day delivery or for exact times call toll-free 1-844-HURTLEG. 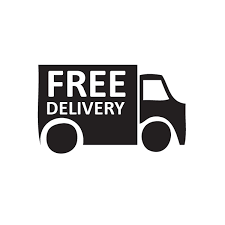 All 10 provinces qualify for free shipping. If you live in the Territories please contact 1-844-HURTEG or fill out our contact form below. If you are looking to cut costs and would like to pick-up your rental from one of our multiple locations across the country. Please call 1-844-HURTLEG to make a reservation and discuss savings. Not sure if a Walker would suit your lifestyle? All customers have 3 full days to test our walkers comfort, mobility, and practicality. If you are not satisfied contact us for a full refund. All renters are subject to a limited warranty on the entire unit during their rental. Our warranty covers all acts during regular use. Negligent use (jumping, racing, tricks) and loss will result in a charge of the current selling price $349.99. You can contact Knee Walker Canada to arrange an early pick-up. Refunds will not be issued, however we may be able to offer return shipping discounts. On your due date Knee Walkers Canada will contact you for pick-up, and send a return label to your email. Every additional week needed the renter will be charged $25.00 per week to a maximum of $349.99.